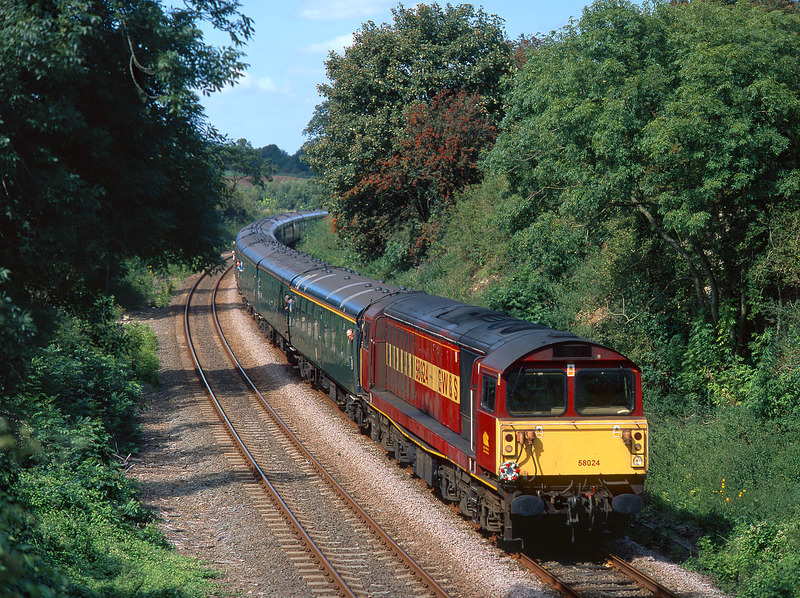 On 1 September 2002 Hertfordshire Railtours ran a railtour to mark the end of Class 58 operations in this country. 58024 is pictured passing Wilsford (between Ancaster and Sleaford) with the 1Z58 10:33 Kings Cross to Skegness 'Bone Idol' with a complete rake of Southern Region green liveried stock. As 58024 only entered traffic in January 1985, its less than eighteen years in traffic does seem rather a waste of resources.